The next ten days will be among the most crucial in the political life of us Labour activists, up and down the country, up and down the party. Not only will the future path of Brexit be decided, and consequently our future for decades to come. What we will collectively decide before April 12th will impact the future of an entire continent, ours, and of its political institutions, the European Union, with massive implications for half a billion citizens, from Belfast to Athens, from Lisbon to Riga. One year ago, I wrote a public appeal to Jeremy Corbyn asking him to call for an extension of article 50 to allow EU elections in Britain. It was already clear at the time that the government were not going to allow any alternative to their botched strategy. Their plan was not to seek consensus but to force their deal through by running down the clock until the very last minute. Political manoeuvres like this not only prevent good solutions but ultimately undermine democracy. That is why last September, alongside other friends and members of DiEM25 (the pan-European movement that seeks to democratise the EU) I set up a campaign to Take a Break from Brexit. We campaigned for a significant extension of article 50 to both disrupt the government strategy and allow space for dialogue and debate, which we believe should precede any decision about the way forward on Brexit. One year later, the government’s strategy has failed. It did so, among other factors, thanks to the firm opposition led by the Labour Party, which did all that was necessary to vote down the botched deal, oppose a catastrophic no-deal Brexit and support an extension of article 50. Despite widespread criticism towards what is often perceived as a lukewarm opposition on Brexit, citizens who voted Remain in 2016 should thank Labour when on the morning after March 29th they awoke as European citizens. Citizens who voted Remain in 2016 should thank Labour when on the morning after March 29th they awoke as European citizens. I have always hoped this would be the case. As many others, I joined the Labour party, and later on Momentum, to support Jeremy Corbyn’s candidacy for the party’s leadership. He shows neat judgement about what to oppose and he has proven to have the rare quality to listen with an open mind to good arguments. His stance on international matters has been consistently correct in several historical junctures. In January 2015, he was in Trafalgar Square in solidarity with the Greek government of Syriza. At the referendum in 2016 he opposed Brexit defending the free movement of working people against the free movement of untaxed capitals, wisely keeping his distance from David Cameron and the official remain campaign. Jeremy Corbyn fought for another Europe for his entire political career. He now has a chance to build it. It is in fact, more than a chance. It is a responsibility towards the British people as well as to the people of Europe. The Tories have thrown this country into an unprecedented democratic and constitutional crisis. Some of them are even ready to let the country slip towards a catastrophic no deal Brexit, which would undermine our social model and sink our economy, enthuse the far right across Europe and threaten new divisions and new borders at home. A no deal Tory Brexit supported by the far-right tabloids and by a flow of dark money would plunge us into a dystopian future. A no deal Tory Brexit supported by the far-right tabloids and by a flow of dark money would plunge us into a dystopian future. But Brexit was never just a Tory delusion about our place in the world. It was also, at least in part, rooted in the crisis of a European Union entrenched in its flaws. Flaws which run deep, from a monetary union which let austerity become its constitution to a migration policy which transformed a continent into a fortress, leading to a widespread resurgence of xenophobia and bigotry. Flaws which are plainly visible from our side of the channel and which contributed to awaken long-held eurosceptic feelings. Flaws that let entire generations of young Europeans flee their home country in search of a better life. Many of them arrived in Britain since the onset of the Great Recession. I am one of them, in a country that ten years later feels like a second home. Nothing good will happen to us by letting these flaws be unchallenged, as some Leavers would like us to do. Nothing good will happen to us by ignoring these flaws, as some Remainers would like us to do. Labour can see through both the Brexit nonsense and the EU flaws because it is different from the rest of European Socialism. Unlike the hopeless Left in many other European countries, including the one where I was born, Labour has upheld the old socialist values and its roots in the tradition of the working class struggle. In his Notebooks written from a fascist prison, the Italian Communist Antonio Gramsci highlights the importance to grasp the core of truth in the argument of the opponent. Gramsci’s lesson applied to Brexit tells us that our fight is not (just) against Brexit nor against those that voted leave, but is really against the causes of Brexit, from a disintegrating social order and a broken democratic system in Britain to an unjust economic rule and an opaque decision making process in Europe. Addressing these issues is the way to respect the referendum results and the will of many leavers. May did not promise to relax her red lines, she merely wants to share the blame of her failure. This is why the real fight starts now. Theresa May has played her last, desperate move, by calling for talks with Jeremy Corbyn and suggesting she drag the process out for few more weeks. She did not promise to relax her red lines, she merely wants to share the blame of her failure. Labour must insist that Theresa May resigns and brings an end to this farce that has turned Britain into the world’s favourite laughing stock. The time has come for Jeremy Corbyn to call loudly and clearly for a long extension to Article 50. An extension long enough to bring in a new government through a general election, unite the country behind a fresh vision, and change the course on Brexit once and for all. Most importantly, the time has come to also announce that Labour will contest the upcoming EU Parliament election that the Tories are too scared to face. There are obvious reasons to do this. It would benefit the country because we need a General Election to turn the page and begin to write a new chapter in our history. It would benefit Labour because a long extension of article 50 would initiate an internal civil war about the soul of the Conservative party that could kick the Tories out of power for a generation (ask John Major if in doubt). It would benefit progressives in Europe too. An EU election is likely to offer Labour the largest progressive delegation in the European Parliament and put us in a position to lead not only European Socialism, but the entire Left in Europe. Such leading position in Europe would be crucial to deliver our transformative agenda at home. There is no way a socialist government in Downing Street can hope to reboot growth and productivity in Britain if the rest of Europe stagnates because of austerity. Many fear the rise of the far right at the EU elections. Farage has already started his electoral campaign and it is conceivable that he will build up some momentum with his Brexit betrayal cry. Is this a good reason not to face his challenge? Do we doubt that we have more convincing arguments to counter his polemics? In fact, he is not any different from the other European xenophobes which are gaining ground throughout the continent. In the UK as well as anywhere else in Europe we should simply say: ¡No pasarán! Many fear that it is going to be difficult to resolve the contradiction between respecting the referendum results and engaging with EU democracy. I hear these concerns. Labour cannot choose between internationalism and democracy, between our European and socialist identity. Yet, it makes sense to ask for a mandate for a Brexit strategy in an election about the EU, as long as our Brexit strategy is clear. But is it clear? I think it misses a couple of ingredients. Yes, the Brexit plan to keep the country into a customs union is sensible and so is the idea to put any Brexit deal to the people in a public vote. What I think is missing in this plan is audacity and radical democracy. What about imagining a different membership in a reformed Europe to put to the people who voted leave? Audacity, first. Do we really want our membership of the EU to continue unchanged? Revoking article 50 now would impose on a significant part of the country a European status quo which was already untenable 3 years ago. But what about imagining a different membership in a reformed Europe to put to the people who voted leave? What about negotiating with the EU a set of reforms to address concerns linked to the state aid regulations that might prevent a strong role of the state in revitalizing the economy or the exploitation of workers too often allowed under the currently operating freedom of movement? What about asking the citizens who voted leave whether a certain set of reforms are good enough for them to be willing to remain in the EU? A new socialist government could deliver for the many what David Cameron had obtained in 2016 for the few: a reformed Europe. We should consult the citizens on this idea. And democracy, radically applied. We need to listen to the citizens. Not just ask them to answer some question decided by the government. Also to allow them to formulate the questions. How transformative would it be to organise Citizens Assemblies up and down the country to let citizens tell us how they think we should get out of this mess? Matters of debate would include which Brexit approach people think should be followed, and perhaps, even more fundamentally, the changes we can make to improve our democracy. Would the country endorse a “reform first, decide whether to remain later” approach? I think it would and would grasp the chance to take back control of its democracy. DiEM25 UK is working alongside other organisations to develop a plan of radical democracy that could completely transform the conversation on Brexit. Our campaign tested this approach in areas of the country which voted heavily for Leave. In Newcastle, in Wellingborough, in Stoke on Trent, both Leavers and Remainers agreed that both a reform to remain approach and citizens assemblies are sensible ideas for a Labour Party willing to listen to the concerns of Leavers. Everyone was excited by the idea that Brexit could become an opportunity to change Europe in progressive terms. Everyone who participated understood that Labour could be inspiring for the entire European Left. 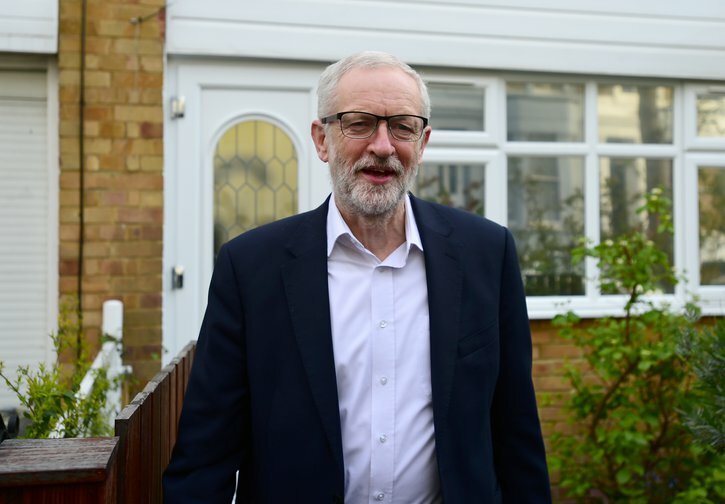 In fact, Labour’s participation in the EU election could very well change their outcome, preventing a far right takeover of EU institutions and energising and galvanising activists throughout Europe who would be excited to rally behind Jeremy Corbyn. In fact there is growing consensus among progressive forces across Europe about bold reforms to challenge the neo-liberal status quo, from the transformative New Social Contract of the European Socialist Party to the Green New Deal in the European Spring program of DiEM25. Reforms like these would help to address many of the issues with our EU membership which have been unveiled by the debate on Brexit. This is why it is time for Labour to study these proposals in order to forge a Labour manifesto for Europe for the 2019 European elections, to put forward a socialist and internationalist challenge to the status quo both in the UK and the EU. The task ahead is enormous. We need to bury forever the Project Fear for 65 million citizens in the UK that lost the EU referendum in 2016. We need to launch instead a Project Hope for 500 million citizens in the UK and in the rest of the EU through which Labour will win the EU elections in 2019 and might keep Britain in a reformed EU. Let’s roll up our sleeves to do it.